But how many of you knew that he had written a bassoon concerto? Until recently, not me. And it came as quite the shock. 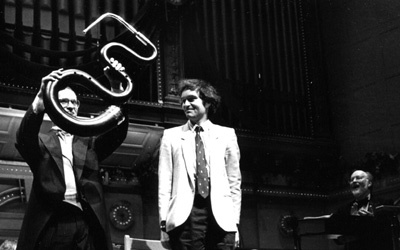 Any bassoon parts I have played from his film scores have been boring and repetitive, lacking any imagination. However, here I found his concerto to be a work of real flair and excitement, with well crafted, idiomatic bassoon writing. Commissioned to commemorate the 150th anniversary of the New York Philharmonic it was premièred in 1995 by the orchestra's principal bassoonist, Judith Le Clair. 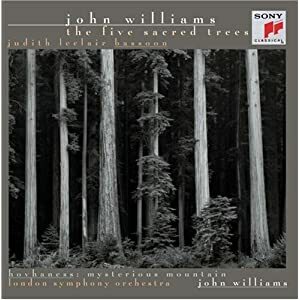 Titled The Five Sacred Trees it draws on Celtic myth and legend recreating different timbres well suited to the different voices of the bassoon.